Wearing the right shoes is important for you to keep up your exercise regime and stay healthy. Improper footwear can cause stress and strain on your legs and back and would result in pain, which will prevent you from exercising.It is essential to do a thorough study of factors such as the purpose for which you are buying the shoe,it could be jogging, running or even brisk walking, consider if the surface is even or uneven, learn about the features of the shoe, check if it suits your personal taste and budget and choose. 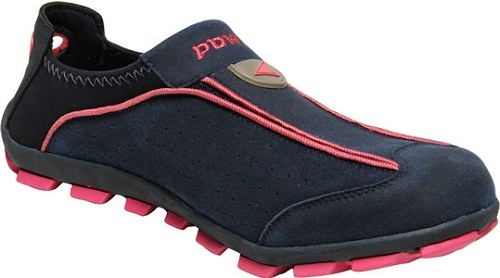 Power Women’s canvas Running Shoes and Power Fanny Running Shoes is a cut-shoe model which can be worn as casuals and sportswear and are priced around Rs.999 and sold for Rs.699-Rs.899 online. Power Women’s Plazma Ina315 is the higher end model which costs about Rs. 200 and available for lesser price, online. 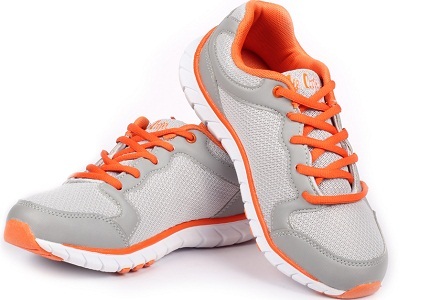 Campus FLEXI Model women Running shoes are available in various sizes and color and easy to clean. This attractively designed shoe of lace-up style is priced Rs.1,199. The Campus Berlin blue women’s shoes are attractive and is priced Rs.1,399. 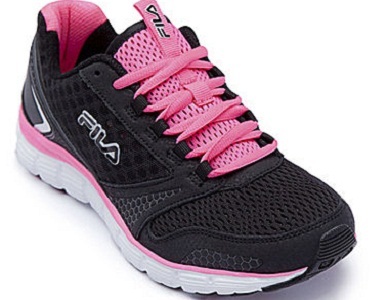 Fila, is a well-known brand and it has many models of running shoes which are elegant and comfortable.The economic model in this brand is Fila women’s Lara Running Shoes which costs Rs.2,199 but sold for Rs.1,099, online and Fila Women’s Elvey Lite Running shoe is the higher end model priced Rs.2,699. Sparx Women’s mesh and synthetic leather running shoes is a lace-up shoe made of mesh and synthetic leather on top and is priced Rs.698. 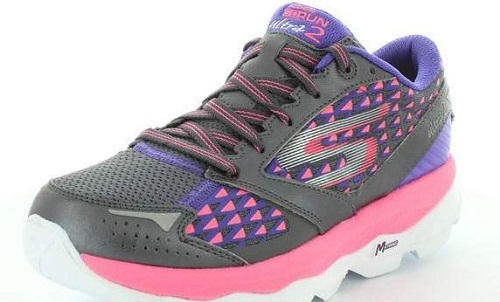 Women’s running shoes from Sparx is mauve and green in color and is suitable for running, jogging and brisk walking. The price is around Rs.875- Rs.999. It has an adjustable Velcro, stick on straps. Sparx Women’s gray and Red Mesh running shoes have a flat heel and a mesh top with lace-up closure and is priced Rs.1,849 and available for a lower price online. 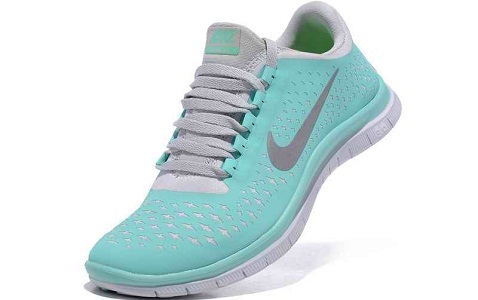 There are about 50 models of running shoes with lace-up and cut shoe style. There are shoes of different colors and modern designs. The model which is priced least is the Skechers GO RUN 4 Running Shoes available in sizes 1,2,3,4,13 and costs about Rs.3,099.The price online is Rs.2,799. Skechers SHOE Skech Air RF Running Shoe is designed with Air-cushioned outer sole and Air-cooled memory foam innersole with a rounded tip, which makes it one of the best shoes to wear. The price is Rs.6,299. 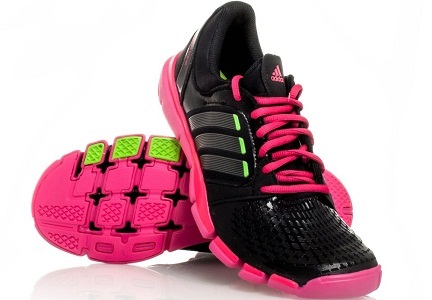 Adidas ADIRAY women’s running shoe is a lace-up model shoe which is suitable for sports. 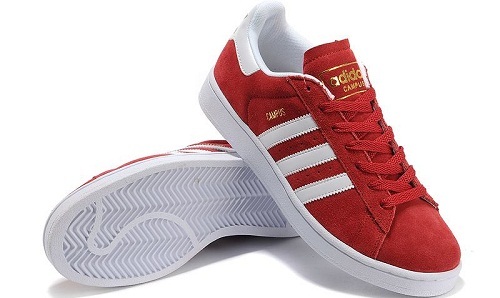 This is one of the 25 models of shoes offered by Adidas and it is priced Rs.3,099 and available for Rs.1,859, online. The higher end model is the Adidas EDGE LUX women’s running shoes, which is available in unusual colors such as purple, pink and blue and have flat laces which, clearly sets it apart from other models. It is priced Rs.7,999. Nike WMNS DART 11 MSL Running shoe which is priced Rs.4,195 and sold for around Rs.3,356 to cater to people seeking low price in this brand. Nike WMNS FS LITE RUN3 Running shoes, which is gray and pink in color, is an amazingly lightweight shoe, though it is made of mesh and synthetic leather. A single shoe weighs just 175gm, when compared to other company shoes made of synthetic leather which weigh about 238gm. The price online is about Rs.5,596. In the high- price category you have Nike WMNS ROSHE ONE FLYKNIT Running Shoes which is attractive and red in color. It is priced Rs.8,795 and available for Rs.7,036, online. Lee Cooper is one of the leading brands. Lee Cooper women’s Running shoes made of synthetic material is blue in color and comes in different sizes. This lace-up shoes is priced Rs.2,099. There are also other models in the brand, but, the size options are limited. 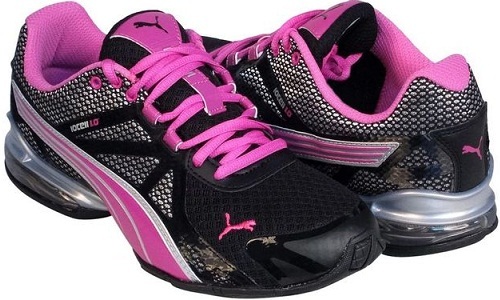 Puma street rider women’s DP running shoe is the one which fall under the lower price category. It is black and purple in color and is ideal to wear, even for sports activities. The price is Rs.2,799 and is available for Rs.1,259 online. Puma IGNITE Disc Women’s running shoes and Puma IGNITE ultimate running shoes, which are available in bright feminine colors like orange, pink etc. The raised midsole and articulated design along with extra PU foam underneath provides maximum comfort. It is priced as high as Rs.10,999 and sold for around Rs.6,269, online. 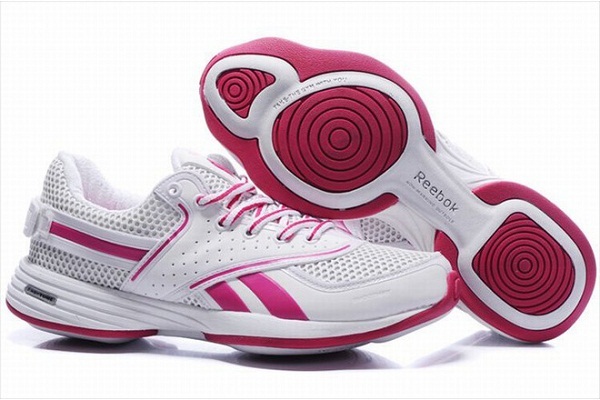 Reebok Women’s Super Lite Running shoes is flat heeled and can be used as a casual wear. It is available in Blue Ink, Crisp Blue and White color. The price is Rs.1,999. The high end version of running shoes is the Reebok ZQUICK Lite Running Shoes which are ideal as a sportswear and the price is Rs.7,599 and is available for around Rs.4,599 online. Looking for variety? There are about 49 different shoes from Reebok within the above mentioned price range for you to choose from. Wearing the right kind of footwear helps you to maintain your gait. Even if you intend to buy shoes online, once you chose the brand, take the time to visit the store and try on the shoes of your choice, make sure you are comfortable in it and buy.